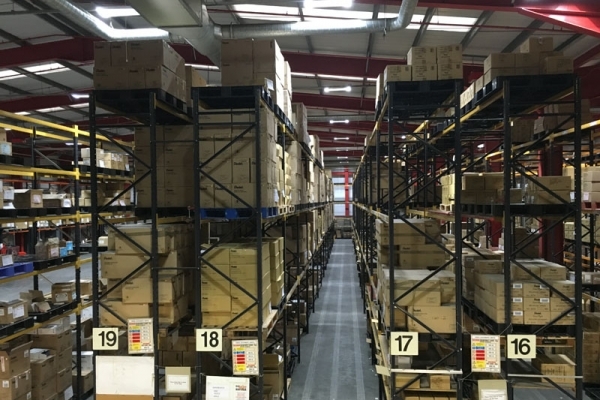 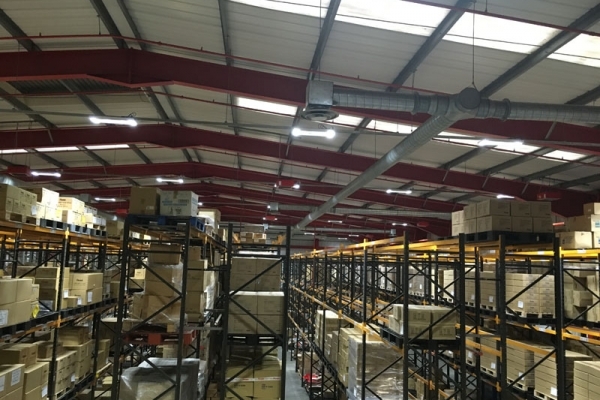 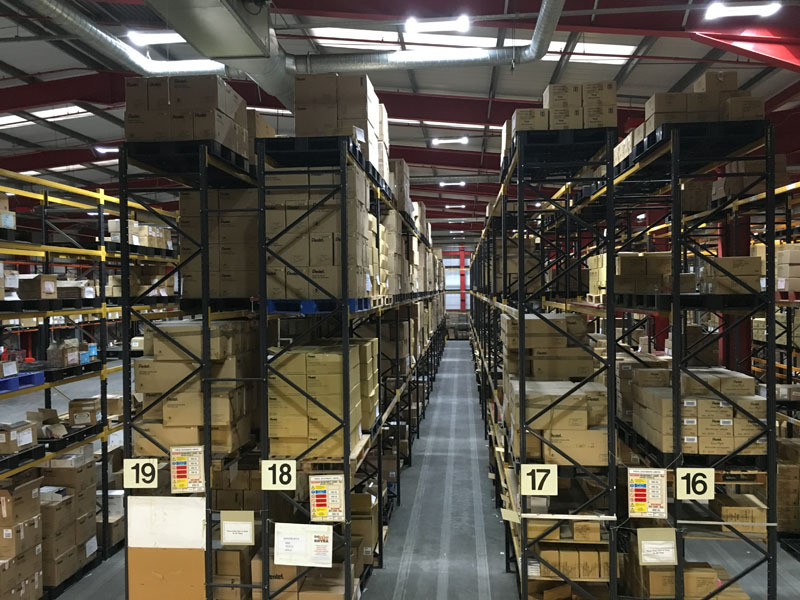 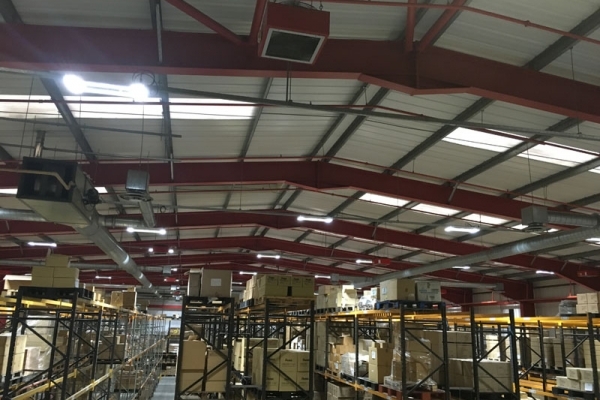 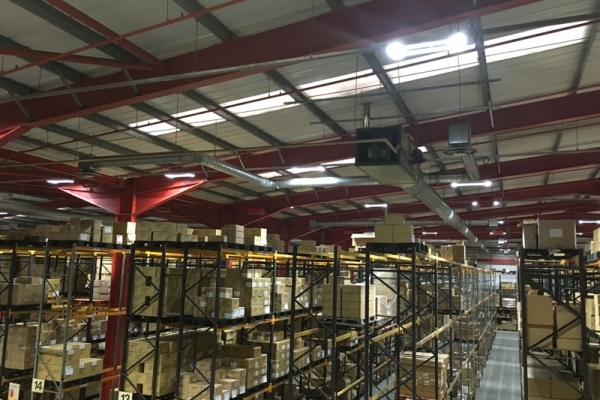 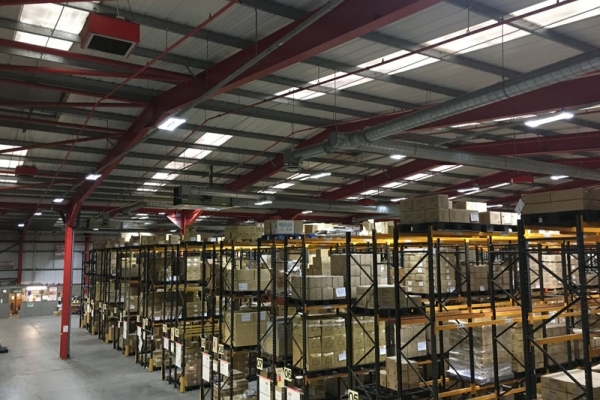 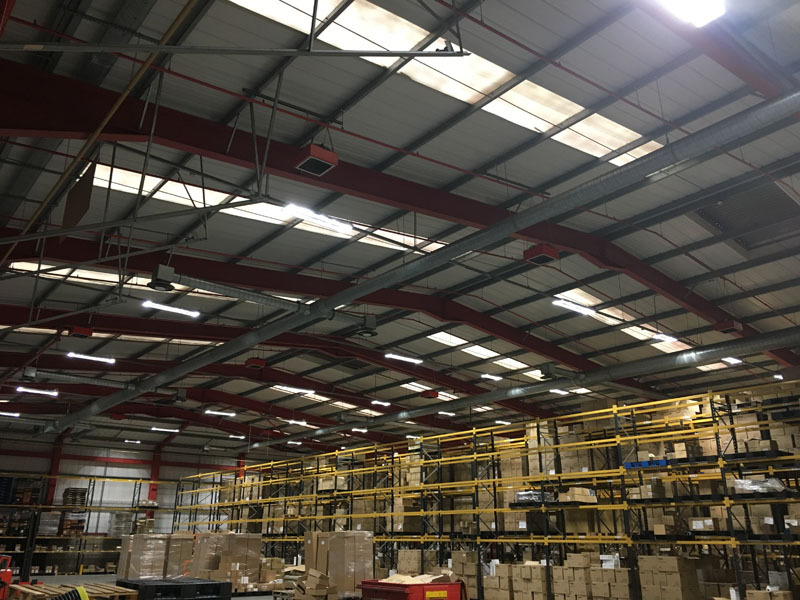 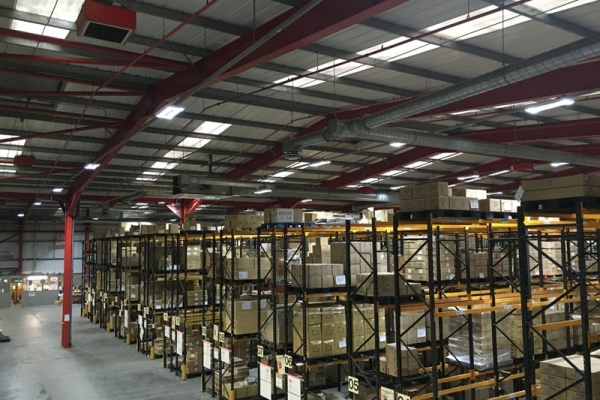 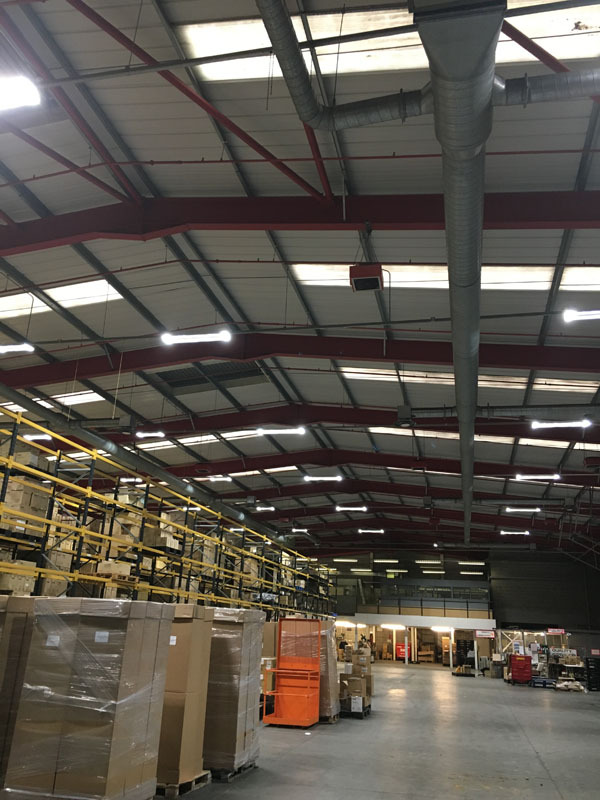 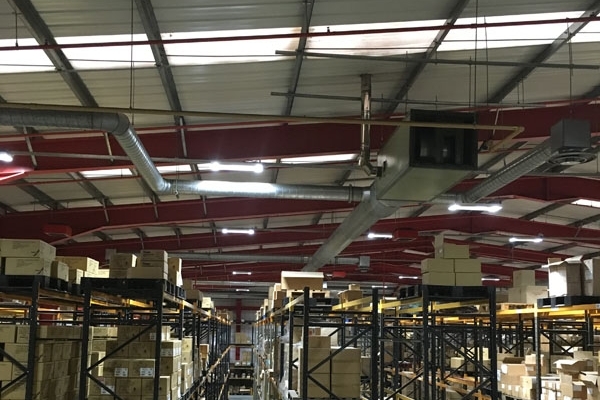 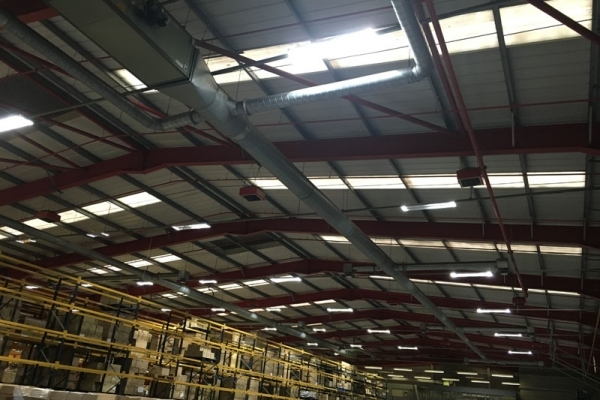 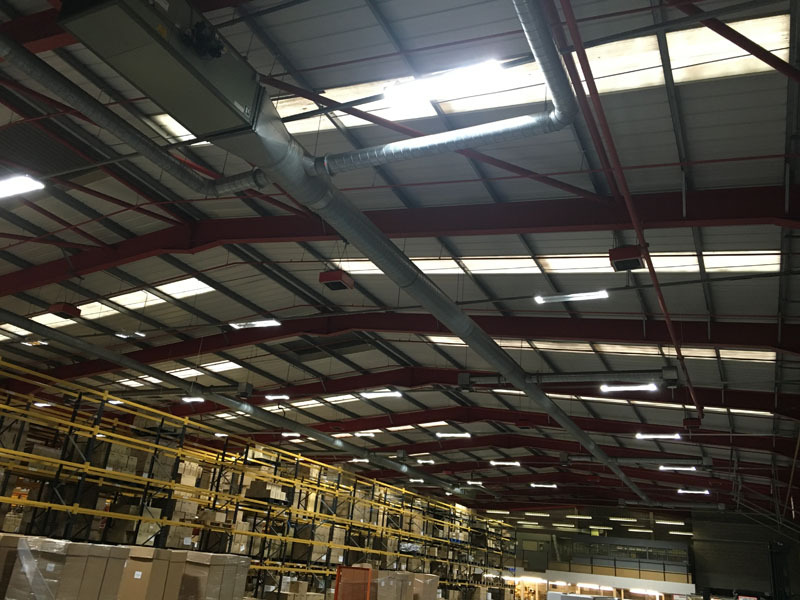 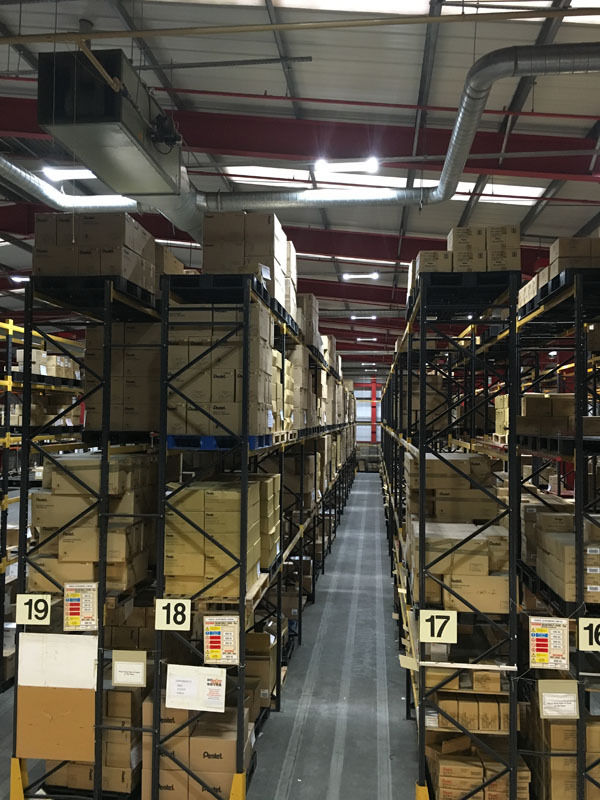 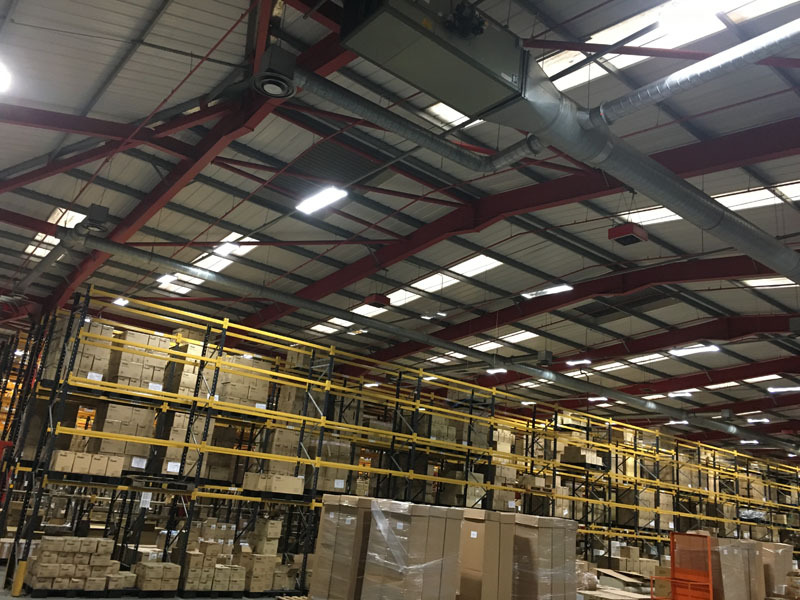 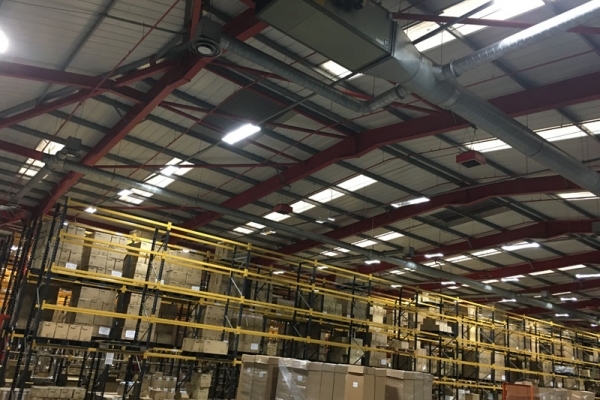 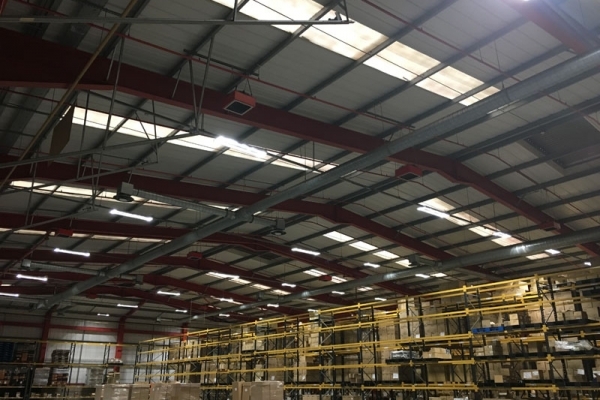 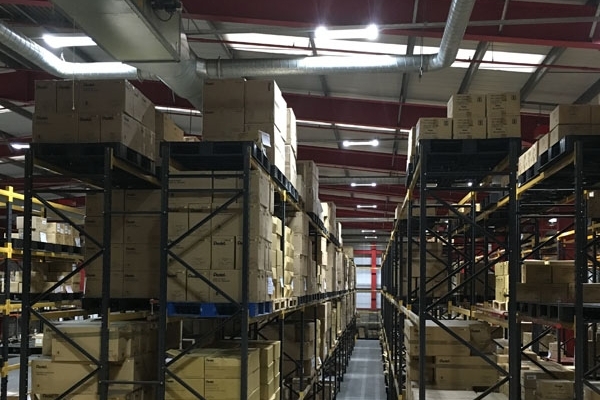 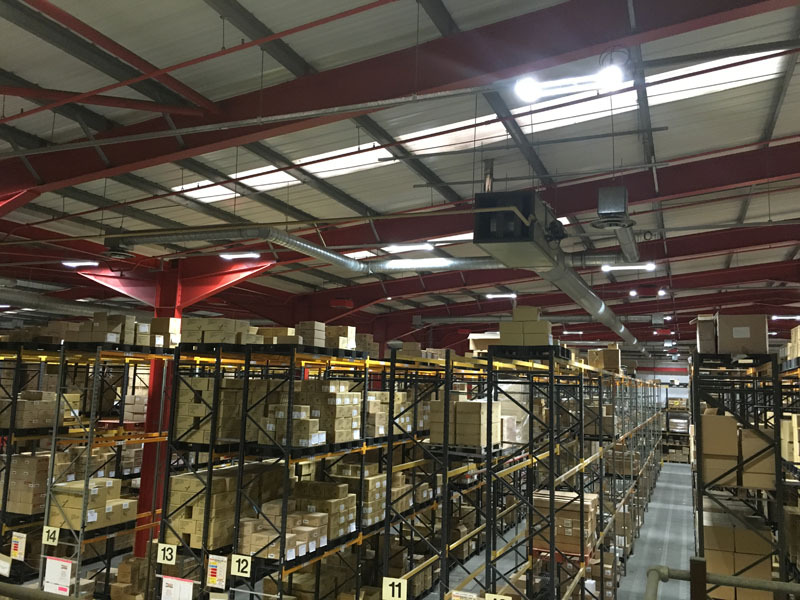 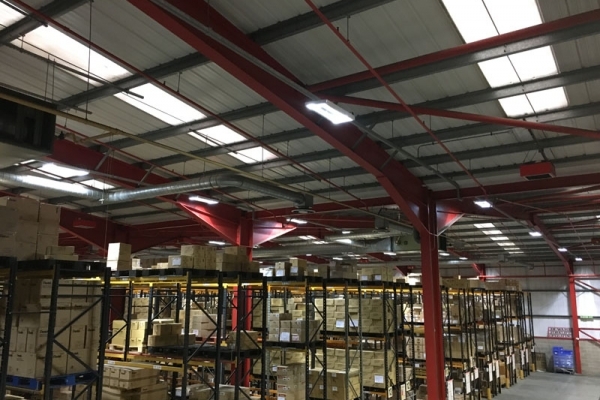 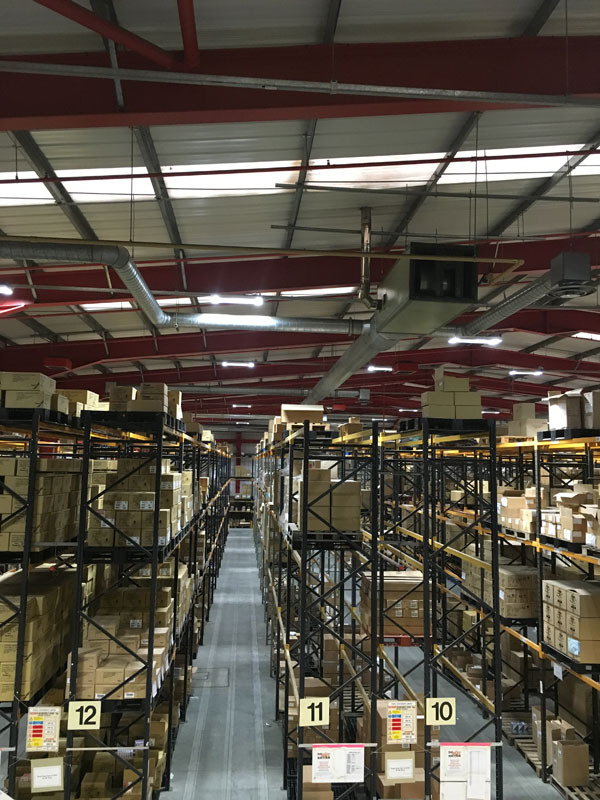 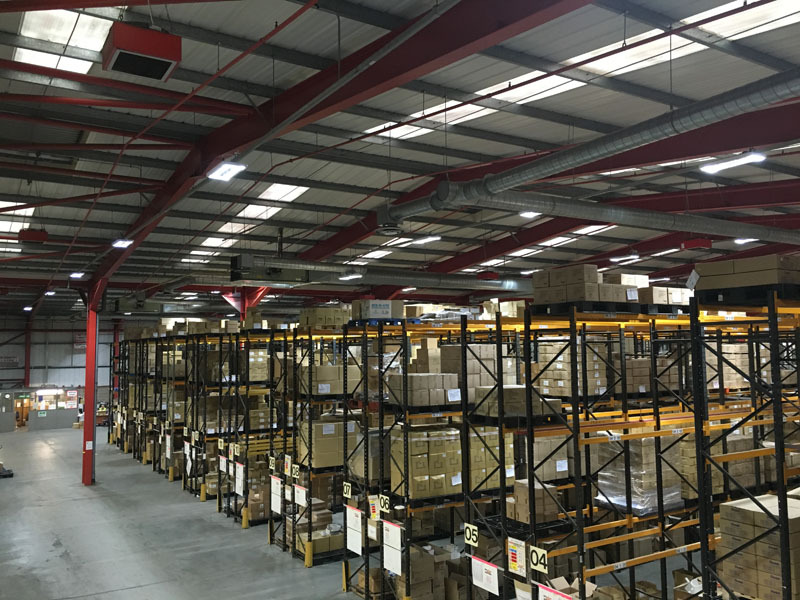 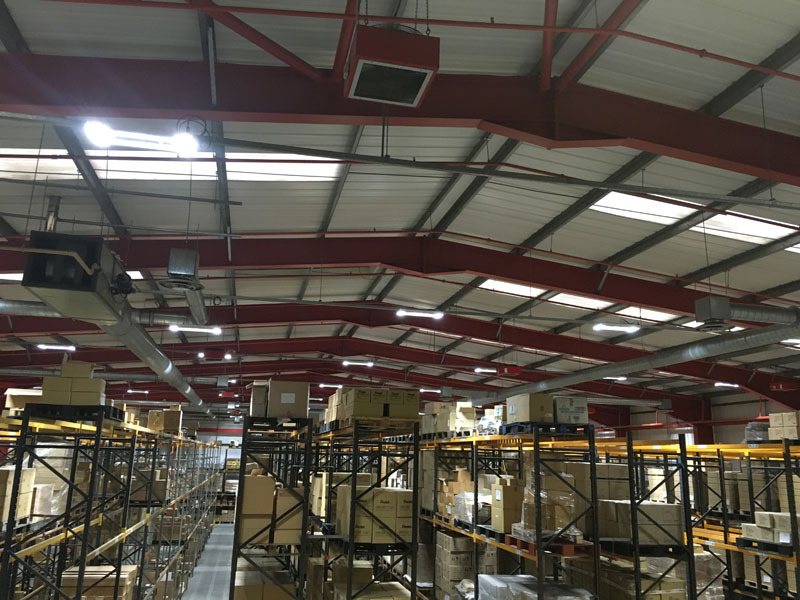 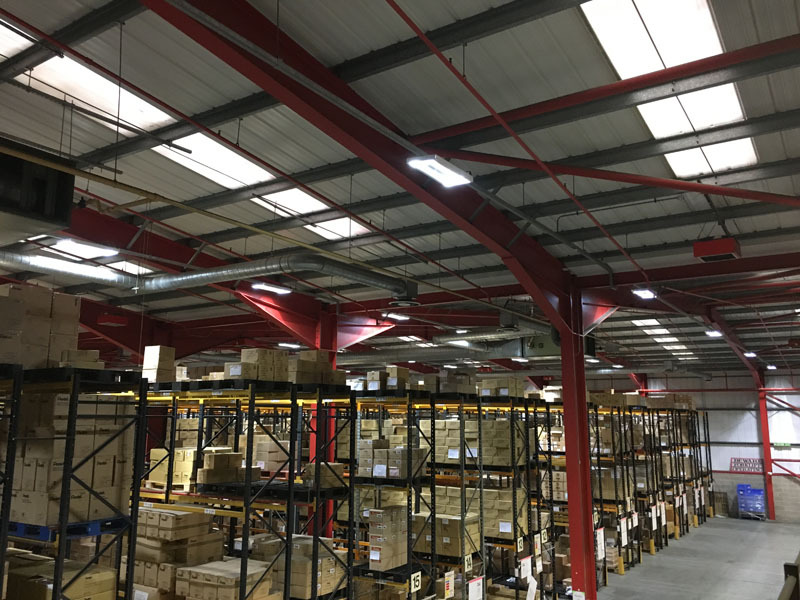 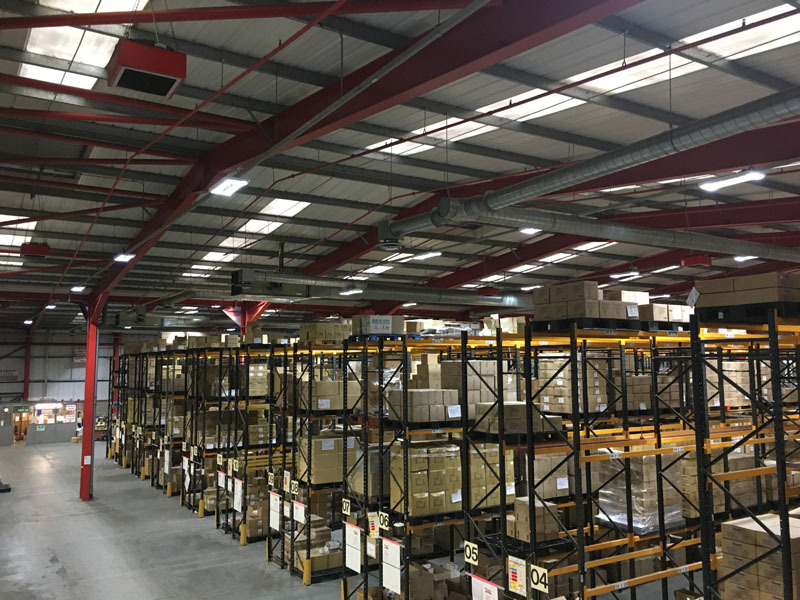 Working closely with a leading lighting manufacturer we designed and installed a new energy efficient lighting system for our clients warehouse. 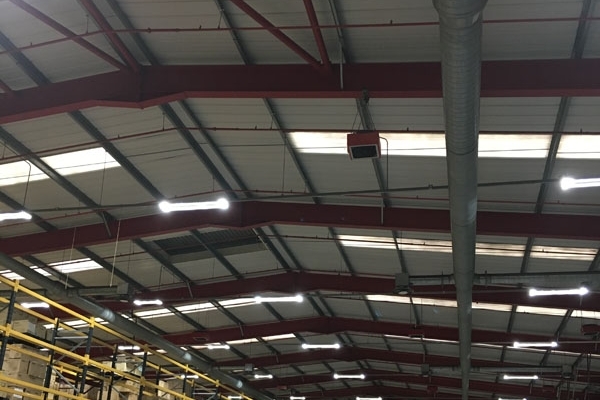 Due to ongoing failures with the old lighting system. Combined with the difficulty in getting to the old lights to complete the repairs we were asked to provide a solution. 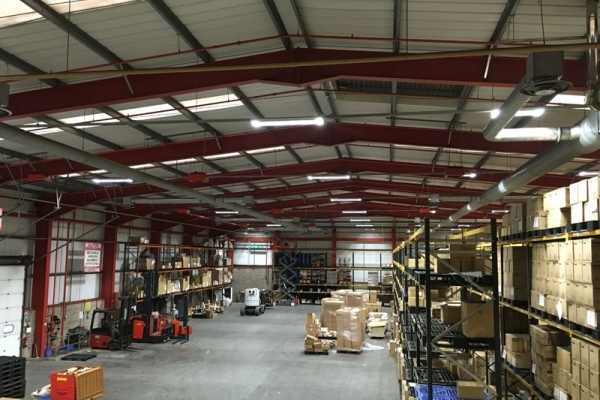 Our design reduced the quantity of lights while increasing Lux levels by 15%. The finished scheme has a projected payback period of 2.1 years. 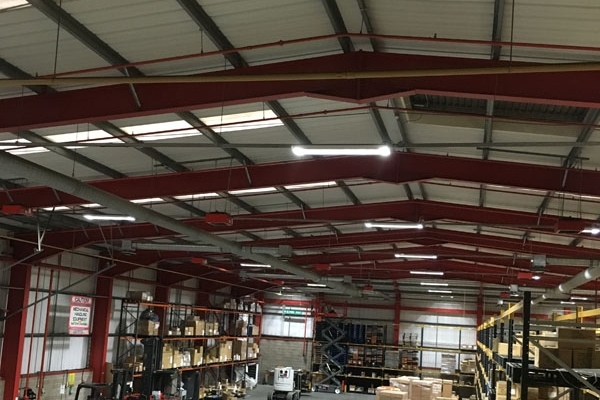 We install exceptional products. 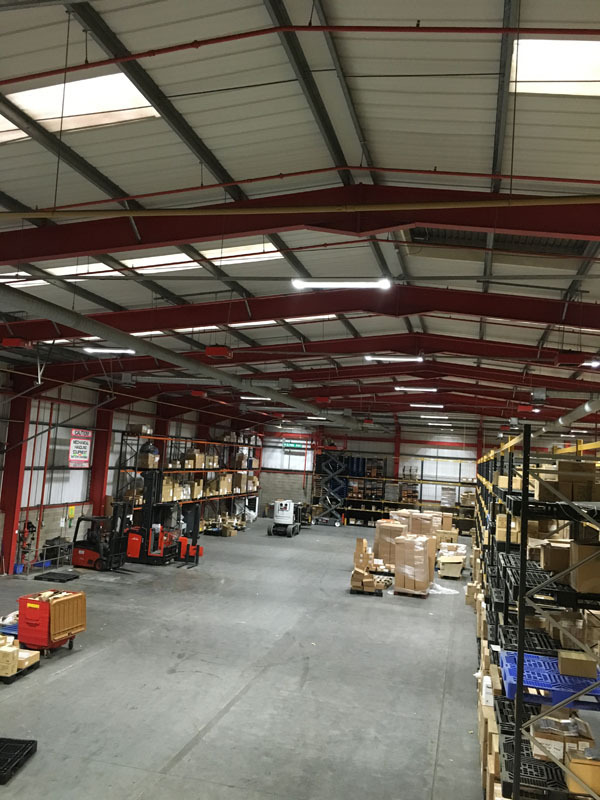 These light fittings are supplied with a 5 year warranty. 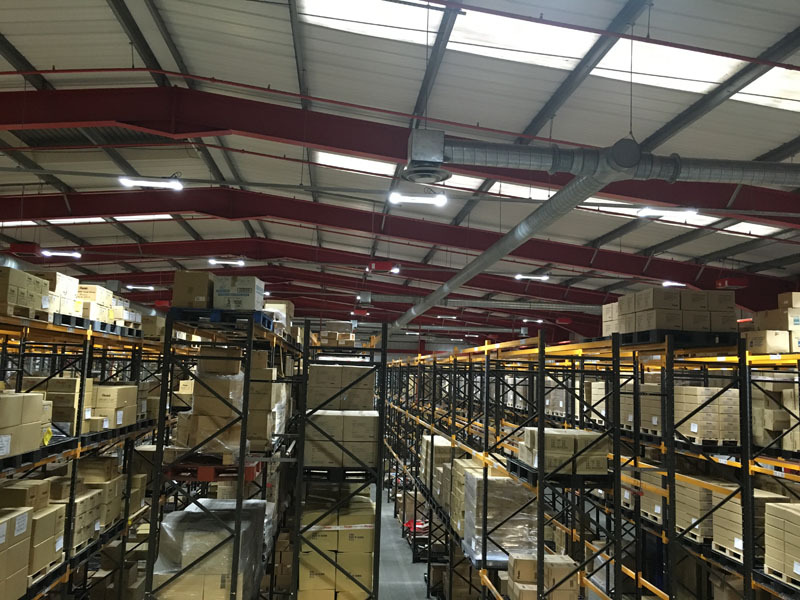 The warehouse remained fully functional and open throughout our installation. Our flexible team worked with the client to ensure no disruption was caused to their businesses operations. 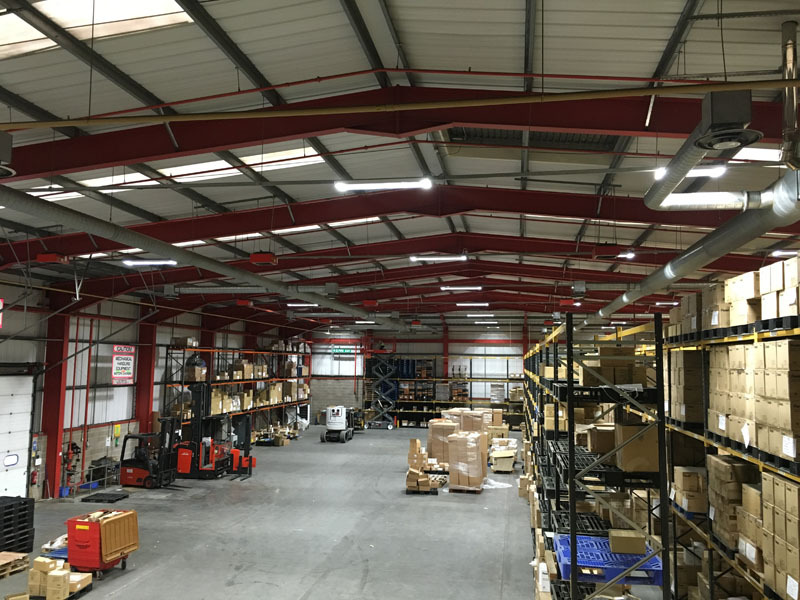 We are now looking at the carpark lights for this client!